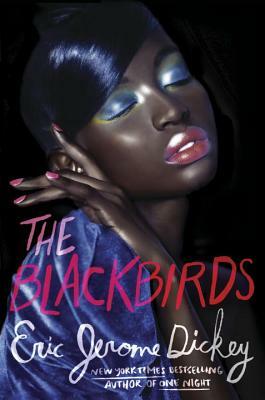 They call themselves the Blackbirds. Kwanzaa Browne, Indigo Abdulrahaman, Destiny Jones, and Ericka Stockwell are four best friends who are closer than sisters, and will go to the ends of the earth for one another. Yet even their deep bond can't heal all wounds from their individual pasts, as the collegiate and post-collegiate women struggle with their own demons, drama, and desires. Trying to forget her cheating ex-fiance, Kwanzaa becomes entangled with a wicked one-night stand--a man who turns out to be one in five million. Indigo is in an endless on-again, off-again relationship with her footballer boyfriend, and in her time between dysfunctional relationships she purses other naughty desires. Destiny, readjusting to normal life, struggles to control her own anger after avenging a deep wrong landed her in juvi, while at the same time trying to have her first real relationship--one she has initiated using an alias to hide her past from her lover. Divorced Ericka is in remission from cancer and trying to deal with two decades of animosity with her radical mother, while keeping the desperate crush she has always had on Destiny's father a secret... a passion with an older man that just may be reciprocated. As the women try to overcome-- or give into-- their impulses, they find not only themselves tested, but the one thing they always considered unbreakable: their friendship.